Do you want more customers from New Jersey? The New Jersey business market can be competitive, so we are here to raise you above the crowd. The major benefit of organic leads from search engines over traditional paid advertising channels is that these customers are already actively searching for your service in New Jersey and convert to paying clients at a 200% higher rate. One of the most important steps in a proper SEO campaign is starting with a thorough analysis and audit. In this multi-step process, we look at your website’s current online presence and search engine ranking, then compare it to a few of your top ranking competitors in New Jersey. Our team analyzes the following elements and then we roll it into an easy-to-understand video to watch, instead of emailing you a few dozens pages of technobabble to understand. Keywords are the foundation of a quality search marketing analysis and campaign. Find out which keywords are most searched by your customers and fine tune the content to match your service priorities. Our audit will reveal if you have too little or too many mentions of your target keyword throughout the page content. It is important to focus each page on a different topic or keyword and ensure you have content around all keywords that a potential customer in New Jersey may be searching for. 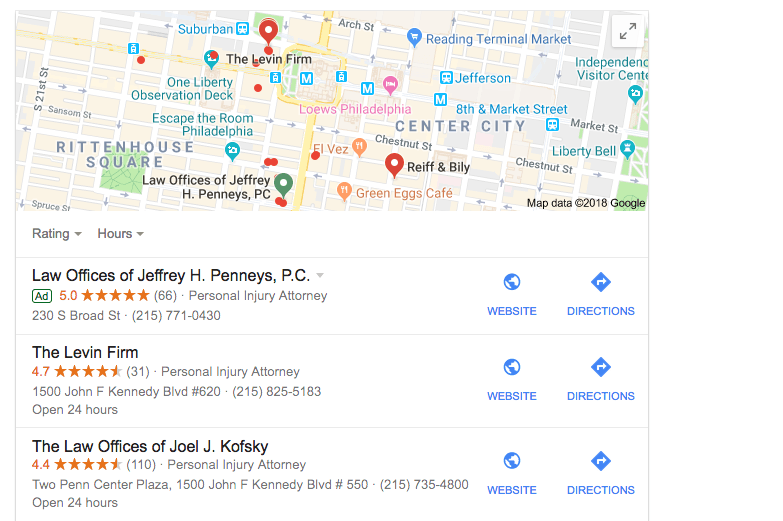 Proper Google Maps optimization for your New Jersey business will help earn you two spots on the first page of Google. We submit your firm’s business information and website to hundreds of the most authoritative local website directories. We manually and use citation tools to build consistent citations across the Internet with your business name, address, phone number and website. We also implement other location-based SEO strategies, including local link-building, local New Jersey business address schema and location-specific keyword optimization. SEO Digital Group has provided SEO services for New Jersey businesses in moderate to extremely competitive industries. Our system ensures best practices for on-page optimization, link building, and local SEO for Google Maps to ensure high visibility in local results as well as long-term, lasting rankings.